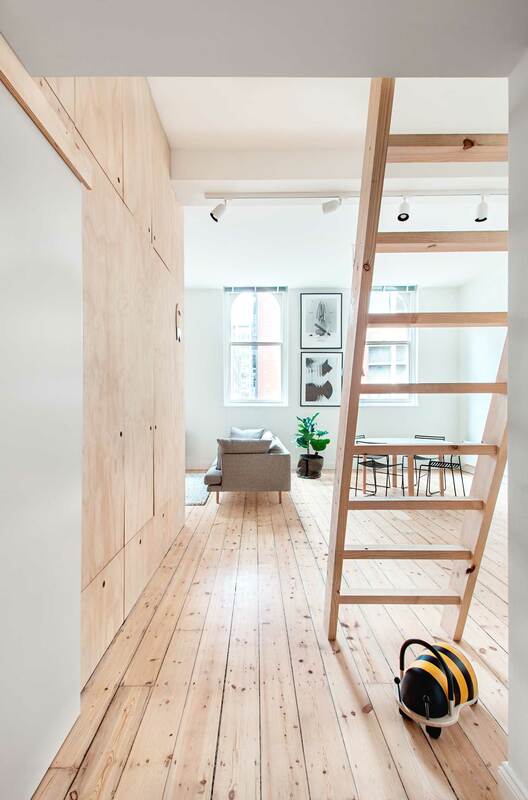 Flinders Lane Apartment by Clare Cousins Architects | Yellowtrace. 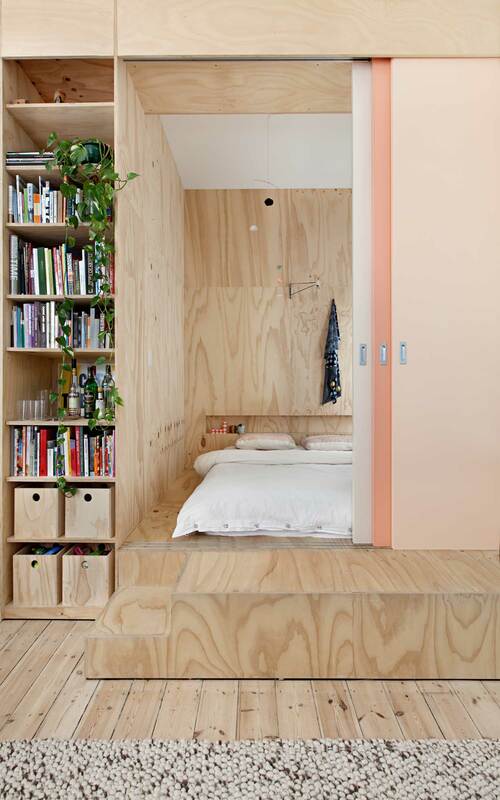 Flinders Lane Apartment by Clare Cousins Architects. 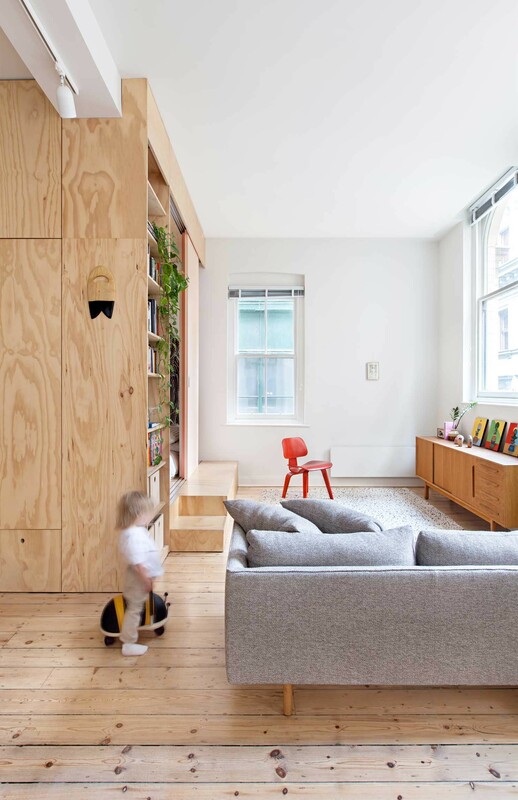 Flinders Lane Apartment by Clare Cousins Architects is an understated city pad designed for a young family. 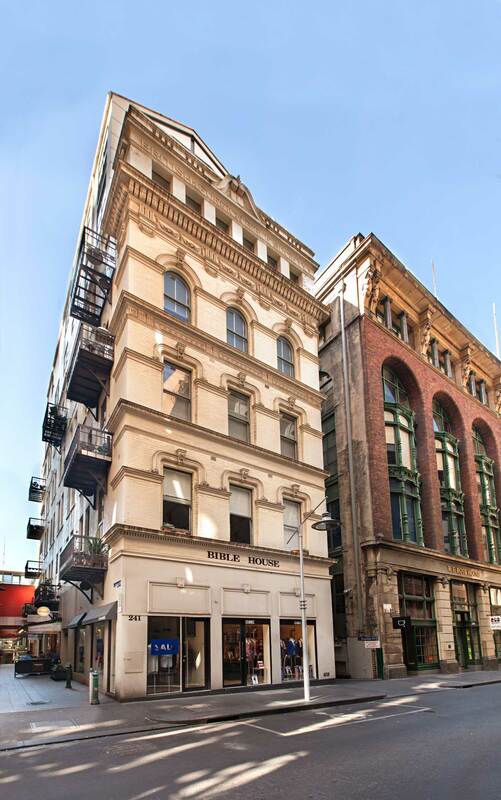 Located in a heritage-listed building in Melbourne’s CBD, the apartment is blessed with high ceilings and abundant natural light from windows along three of the four walls. 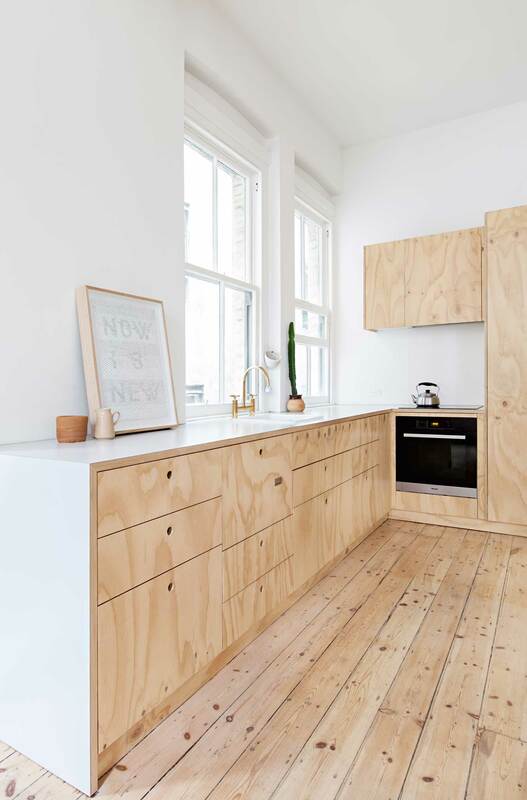 The open, functional space utilises readily available, affordable materials to make the most of a small space and a modest budget. 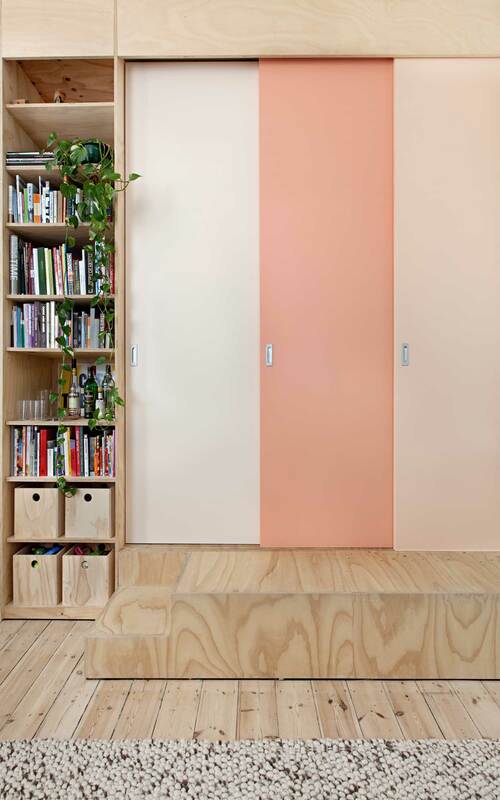 Plywood joinery was used to define spaces rather than built walls. The adults bedroom utilises 3 colourful sliding screens, which allow the room to be totally screened from the living room or opened up to allow the bed platform to be used as part of the living space. 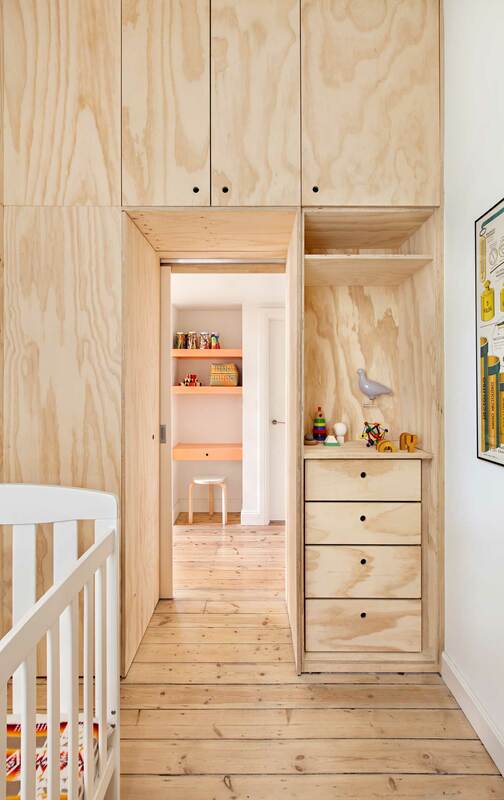 The full-height joinery not only separates the master sleeping nook from the baby’s room, but incorporates lots of flexible inbuilt storage, accessible from both inside the bedrooms and outside. 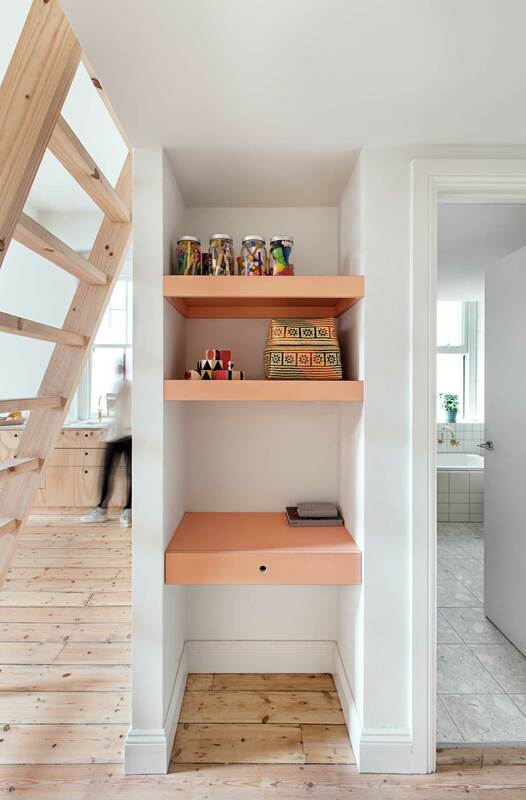 A mezzanine loft allows access to an additional storage cavity, while salmon laminate creates a tidy work station in the nook below. 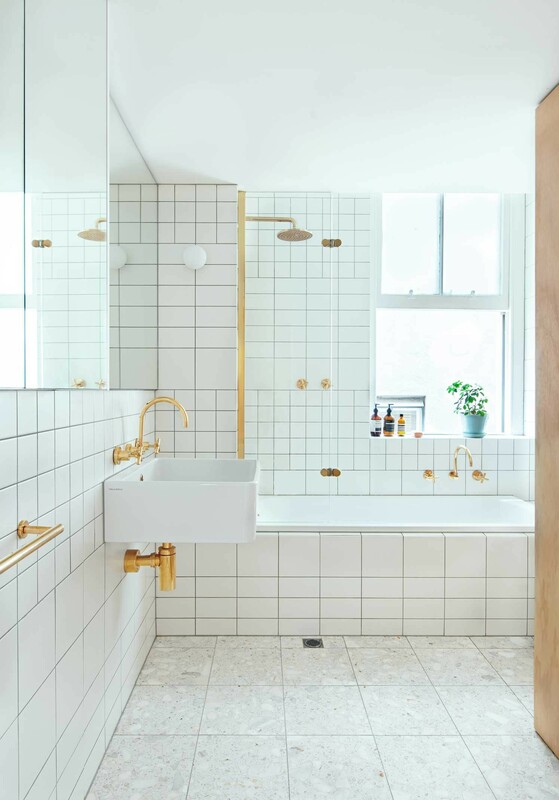 The bathroom is fitted with common but creatively composed tiles, and gold electroplated tapware – for a little bling! 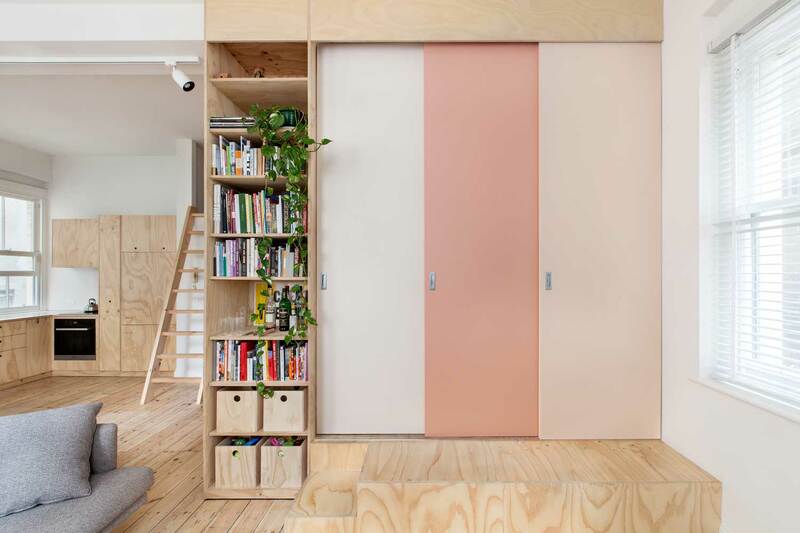 Read on for our Q&A with Clare Cousins for more details about this cleverly designed apartment. Related Posts: Brick House by Clare Cousins. The clients had a strong idea of the aesthetic they wanted to achieve. 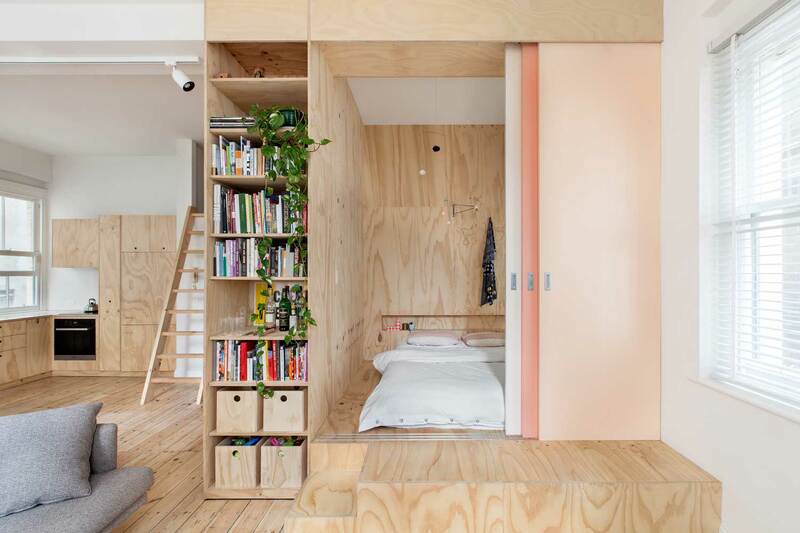 They provided us with a great collection of images including some from Atelier Bow Wow’s Mountain House and plenty of examples of Japanese Architects using small spaces in an unconventional way. This brief reassured us that we could push the boundaries of a “typical” apartment and present an imaginative design response. The second bedroom. 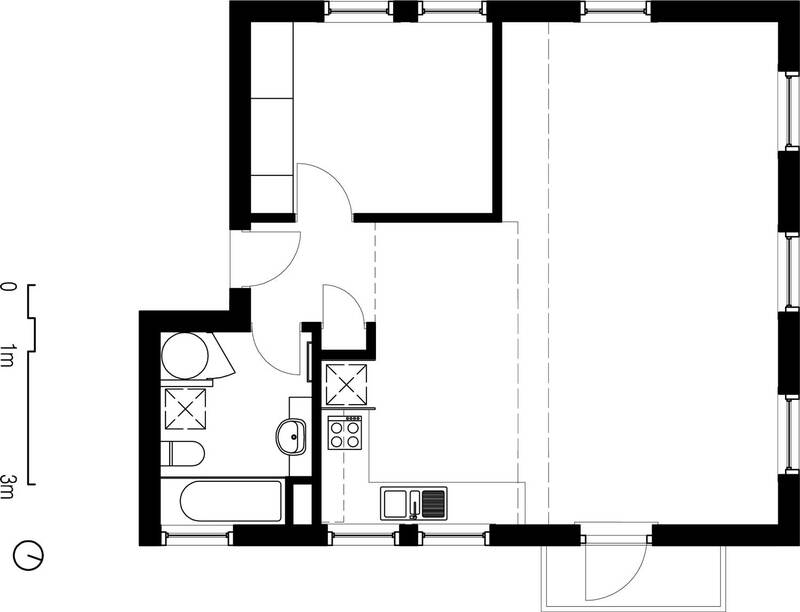 This size of this room was determined by the length of a single bed. 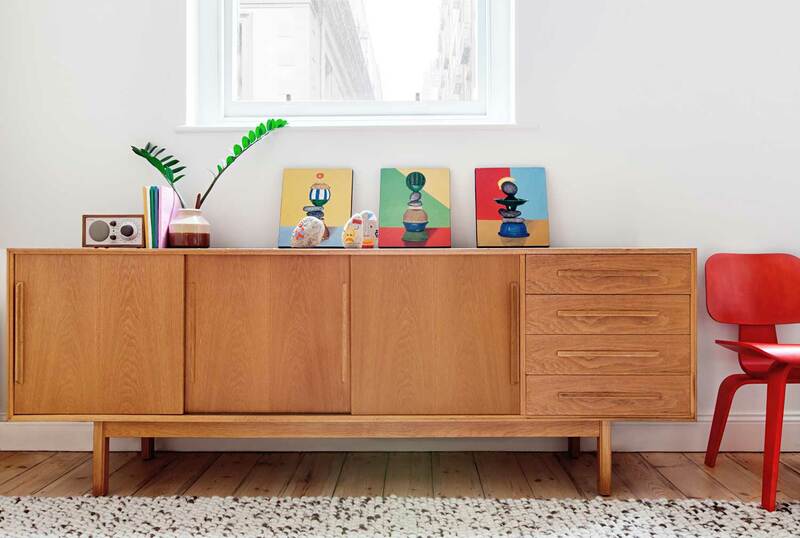 While it’s miniature in scale, it functions perfectly with room for sleeping, playing and storage. A large window floods the little space with natural light. 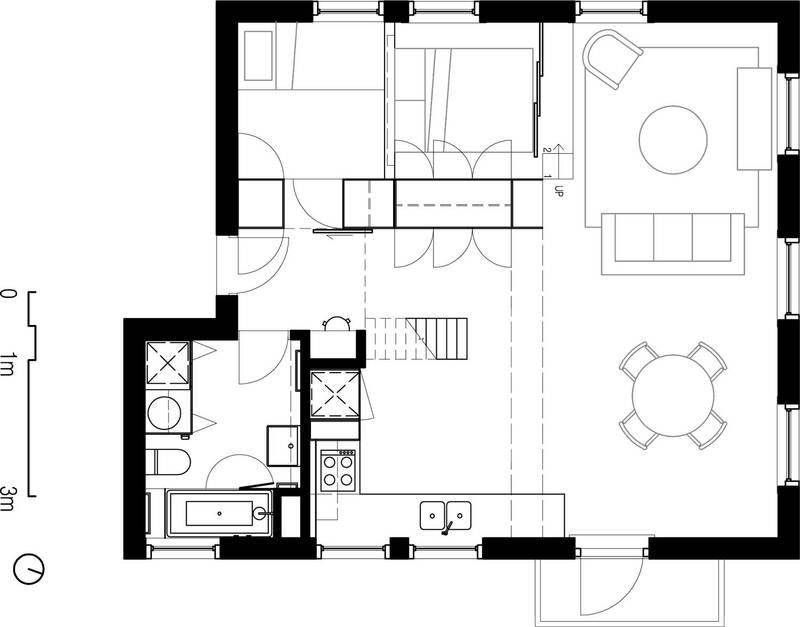 Trying to squeeze two sleeping spaces (master bed and kids room) out of the same area as the original single bedroom. 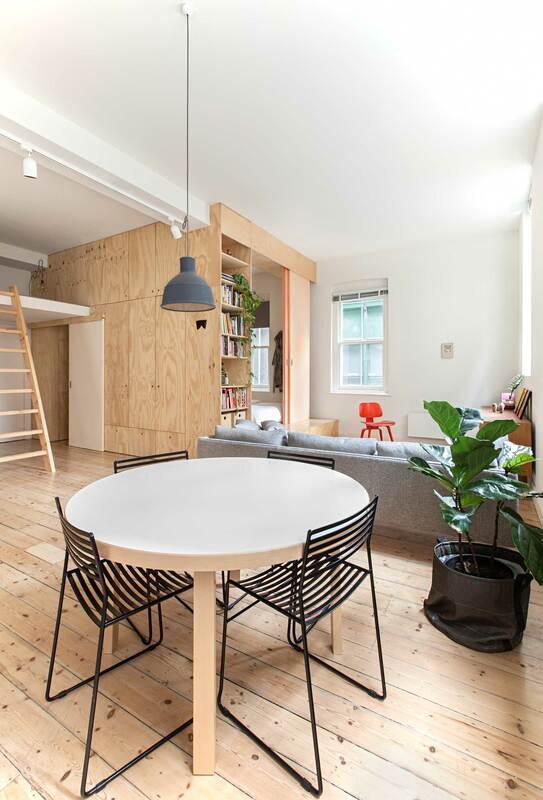 Luckily the clients were up for the challenge and their enthusiasm for living in an apartment that prioritises generous living spaces over secondary sleeping spaces made the challenge much more achievable. We could all make do with a lot less space. The client tracked down a place to get all her tapware electroplated bright brass for a bit of bling. Small Taj Table by Noam Dover & Yoav Reches. Restaurant Story in Helsinki by Joanna Laajisto. Love the simplistic feel of the place! 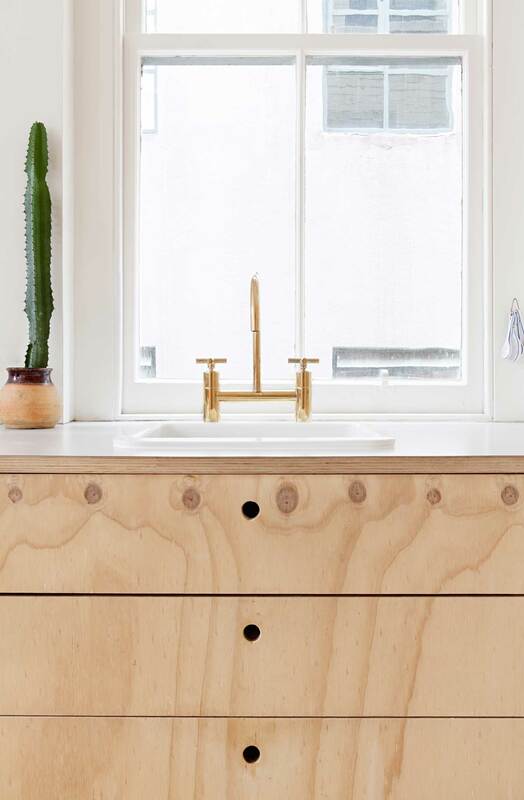 Really like the gold accents in the bathroom as well.